The international break has past, but frequent defensive mistakes are still evident at the back for Birmingham City as Leeds United cruise to a 4-0 victory. A brace from Matt Smith along with a goal each for Ross McCormack and Rudolph Austin saw Lee Clark’s side leave Elland Road knowing it was the club’s worst league defeat to Leeds since 1987. The early signs suggested it was going to be a long afternoon as Dan Burn’s miskick almost led to the first goal, but Darren Randolph made a good save to deny McCormack from opening the scoring. 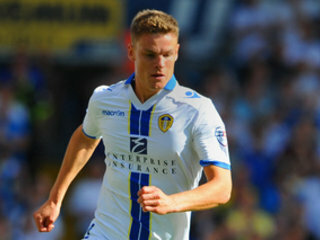 It was the Scot who did eventually give Leeds the lead after just 18 minutes. Jason Pearce’s long ball up field wasn’t dealt with by the Blues’ defence; Randolph couldn’t clear the ball away before Austin set up McCormack to score his fifth goal of the season with a looping effort over helpless Burn. In response, Blues created chance to get back into the game. The best was from Chris Burke, who fired just wide on the edge of the box after Alex Mowatt failed to clear the ball from danger. Things went from bad to worse for Birmingham on the half an hour mark as Leeds captain Rudolph Austin doubled the Yorkshire side’s lead. Lively McCormack was in the action again, chasing down the ball in the left channel and crossing for Austin to head home after a determined run from the half way line to get involved in the attack. With half time approaching, the home side added a third as Matt Smith scored from a rebound after McCormack’s shot could only be parried away by Randolph. Despite their awful first half display it was the visitors who created plenty of opportunities in the second half. Nikola Zigic and Andrew Shinnie replaced Lee Novak and Dan Burn at half time and the substitutes added a bigger threat going forward. Chris Burke continued to put pressure on the Leeds’ defence, but his astonishing chip was well clear off the line by Tom Lees with Paddy Kenny stranded. 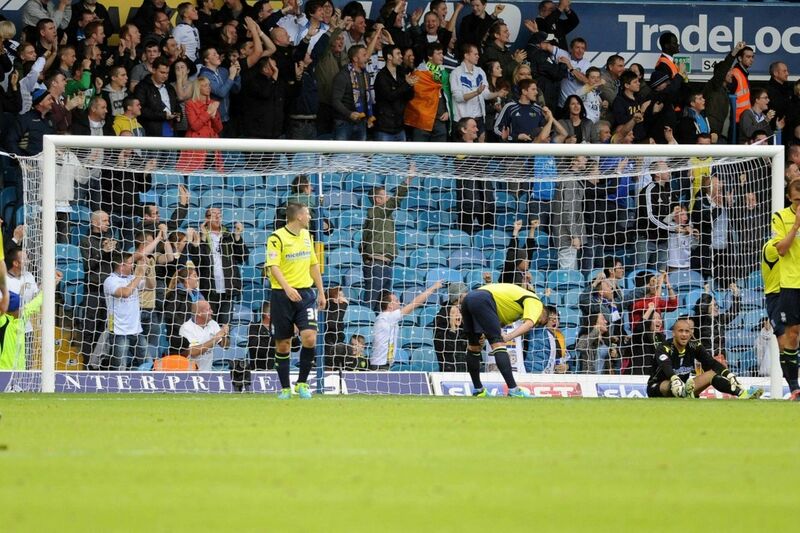 Substitute Zigic also went close after the hour. The Serbian used his strength to hold off Sam Byram outside the box before unleashing a powerful shot that stung the hands of Kenny. If it wasn’t already clear, then it was obvious luck was against Lee Clark’s side when a well struck free kick from David Murphy smashed against the post. Burke made it a hat trick of missed chances when his effort was well saved by Kenny with the ball looking destined to find the bottom left corner. Even though Brian McDermott’s men were on the back foot for the majority of the second half, Smith powered home Leeds’ fourth and his second with 20 minutes to go after a deep cross from Mowatt found the head of the former Oldham man. Following the result Leeds move into ninth with the three points while Birmingham sit two points above the relegation zone. After the first half display it is quite clear why Blues have now conceded nine goals in their last three away games. “We managed to get some width into the team today and that was important. “My teams have always had width, as anyone who saw Reading when I was there will tell you. “I don’t do excuses, I do reality. I will never tell anyone what I tell players in the dressing room but we are all disappointed. “That is not acceptable to the badge on the front of the jersey. “We didn’t do anything right in the first half and our defending by the whole 11 was very poor. Lufc on the back foot for most of the 2nd half ???? You having a laugh ??? Blues certainly weren’t if that is what your saying. Birmingham had more dangerous chances in the second half than Leeds, just couldn’t take any of them. we could have been 2 down after 10 minutes.The midfield were nonexistant for most of the game.The formation was wrong yet again and the 3 centre halves were all poor.Lee clark doesn’t do excuses,now that’s funny.He must have a book of them,he is useless and naive.